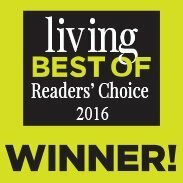 House cleaning in Missouri City TX has never been better! That’s Clean Maids referral agency is here to help you out if you are struggling to keep with your chores and all the other daily activities. We'll match you with genuine cleaning professionals. Leave the dusting and wiping to those who do it best while you sit back and enjoy your free time! A place of history and stunning nature, Missouri City is the ideal home. However, your own home might not be equally pleasant to live in, especially when you are struggling to balance endless cleaning and other important errands. This is where we step in! 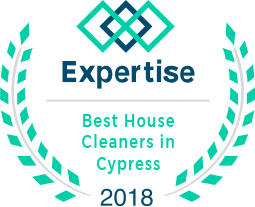 That's Clean Maids is passionate about making the community's lives better through matching homeowners with professionals who provide top-quality house cleaning in Missouri City TX. We can’t wait to put a smile on your face and help you find just the type of cleaning that you need. Book an appointment today and your cleaners will do their best to make your home spotless! Make room for more important things in life, while your favorite Houston TX house cleaning team does all the work you really don’t have time or energy for. Keeping your home looking spotless sounds impossible, no matter how careful you are. But, find the perfect cleaning package and that will no longer be the case! Flat or hourly rates, no need to sign a contract, what more could you ask for? We really want to exceed your expectations! We focus on YOU and improving your quality of life. Customize your cleaning just the right amount and the cleaners will do the rest! Use your new-found freedom to explore the city like you've always wanted to! Leave it to professionals to make your home shine again, while you go enjoy the American Legion Park and walking trails with your loved ones. Cherish history while strolling through Freedom Tree Park with some of the most important local treasures. Remind yourself of the life outside everyday responsibilities, all with the steady helping hand of professional cleaners fulfilling your every cleaning request. 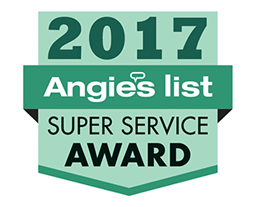 Book an appointment and let them make your home look spotless again, all according to your own preferences, providing you with a personalized cleaning experience. You can also book house cleaning services Sugar Land, house cleaning services Rosenberg, house cleaning services Pearland and house cleaning services Cinco Ranch Areas. Stop spending countless hours scrubbing and mopping when you can enjoy leisure time completely guilt-free! Once you try professional cleaning services and meet the cleaners we'll dispatch to your home, you will be amazed by the passion they have for their work. Our mission is to give you the power of choice and the gift of time. You can choose from a comprehensive list of cleaning services performed by top professionals who are reliable, responsible and trustworthy. The cleaners will show up on time each time, fully equipped with the right cleaning supplies and tools for your home. If you’d like, we can always send the same person to tend to your home. We offer a 100% satisfaction guarantee for every appointment. Let us know if you were unhappy with some aspect of the service, and the crew will come back to re-clean the area in question – completely free of charge. We charge for the service only after the job is done, and our flat-rate pricing is quite easy to understand. Organize your time better by removing house cleaning duties from the list – we are here to help you do that! Rest assured we only send reliable, background-checked and insured cleaning professionals to your home. There are much more important things you need to take care of in life than cleaning – instead of scrubbing, spend some quality time with your family and friends! Our policy is to keep the payment procedure simple and easy to understand. We only charge after the job has been completed! 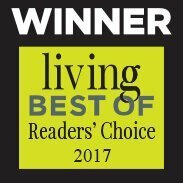 What you have to say about our performance is of great value – our cleaners are getting rated based on your feedback, which helps us always be at the top of our game. You will get automated reminders about your appointment, and you can easily reach us via email. If you prefer talking, we are just a phone call away!